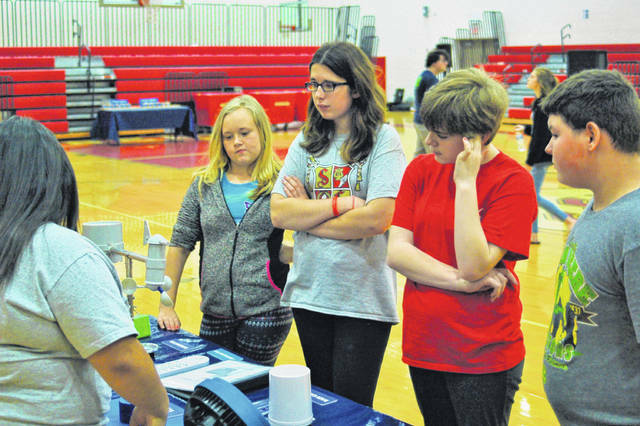 Middle school students at South Gallia learned with “COSI on Wheels” this week. National Honor Society students from the high school helped work stations exhibiting different aspects of science from physics to the weather. Here, Keirsten Howell helps teach students about wind direction and speeds, rain gauges, and other meteorological concepts.